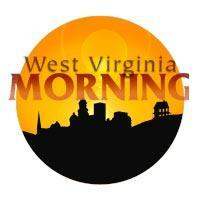 Grow Ohio Valley is a new non-profit looking to help revitalize Wheeling. A new gay, lesbian, bisexual, and transgender center on North Eisenhower Drive in Beckley hopes to encourage communication between them and the gay population of the southern part of the state. Also, the West Virginia Public Theatre looks back as it begins its 30th season, while its founder considers stepping away. Together, Harvard and Syracuse Universities have released a study that maps potential air quality benefits based on the Environmental Protection Agency’s proposed carbon dioxide emissions reductions revealed this month. WVU’s Center for Energy and Sustainable Development is working with Downstream Strategies on a new report to advise policy makers as they draft strategies to submit to the EPA. Also, A Brooklyn-based theater company will bring a play to Charleston in response to the Elk River Chemical Spill. Coal miners in the state's southern coalfields worry about their jobs in light of the EPA's Clean Power Plan. Filmmaker, writer, and graphic novelist Danny Boyd enters the political arena with Carbon. The Girl Scouts' Black Diamond Council talk leadership and the future. Also, Keb' Mo' from Mountain Stage on this song of the week.